While there are many benefits of being a landlord, the time may come when you want to sell. Rent-to-own is one approach to help you sell your home — especially if your investment property won’t stand out in a crowded real estate market. Learn what rent-to-own homes are, as well as their benefits and disadvantages. A rent-to-own home allows qualified tenants to rent for a lease term with the option to buy your home at the end of the lease. In terms of how to rent-to-own a home, it takes a special lease agreement outlining the terms and conditions. Renters need to put down a type of deposit, called an option fee. The option fee, which ranges from 2 to 7 percent of the home’s value, is not refundable if the tenant decides not to purchase the home. Once you enter into a rent-to-own home agreement, you’re locked into it. If you receive another offer for your home while you have rent-to-own tenants, you cannot accept it. Before you decide to offer your home under a rent-to-home agreement, look at the full benefits of rent-to-own as well as the disadvantages. If you want to sell your house but haven’t been able to, rent-to-own can solve your problem. If you moved but weren’t able to sell your home before the move, you might be carrying two mortgages. Renting out the home you no longer live in can help cover your mortgage payments so you can make those monthly payments on time, meeting your financial obligations and maintaining good credit. When your tenants are considering buying the home, they may be more likely to take care of the property. Even if they don’t buy the home at lease end, your home should still look good. For tenants, rent-to-own can be an attractive way to become homeowners, with a little time and money. 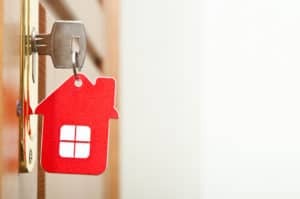 Tenants with bad credit, who may be unable to qualify for a mortgage, can delay the mortgage application process and improve their credit during the lease period. When the lease ends, they should be able to apply for a mortgage and buy the home. Tenants aren’t obligated to buy with a rent-to-own lease, so at the end of the lease, you could be stuck with a house you need to sell. Or, you could wind up with a tenant who breaks the lease or causes property damage, then declines to buy the home. If home values go up, you cannot revisit the agreement and increase the price of your home. You could wind up selling your home for less than you otherwise would had you rented the house and waited for the market to improve. For tenants, rent-to-own results in rent above market rate as well as “rent credits,” extra money that’s put toward the down payment. If you decide not to buy the home, you’ll lose rent credits and the option fee. Rent-to-own isn’t right for everyone, but it might be exactly what you need. To learn more about rent-to-own and other topics affecting landlords, and to receive the lowest price on landlord-tenant forms, join American Apartment Owners Association.